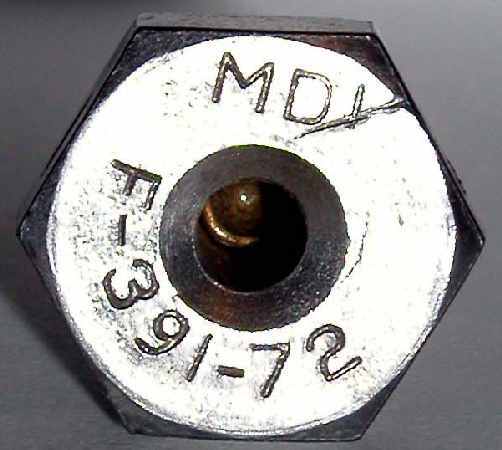 This timeline begins in the year 1975 with the introduction of making sump drain valves standard on new Cessna single-engine aircraft models. Following this event, the timeline lists other events that challenge FAA-certified, manufacturer designs and FAA-certified, manufacturer prescribed procedures for using sump drain valves during a preflight inspection for the purpose of positive detection of fuel contamination. 2004 Please note: The timeline just below and on the right has a column labeled Undetermined. For a given year, this column contains a count of specific general aviation aircraft accident records stored in the National Transportation Safety Board's, NTSB's, aircraft accident database as of October 31, 2003. Records that have a status of final assigend by the NTSB for reporting purposes were counted, and each counted record contains one or more NTSB defined codes that indicate the cause or factor of a partial engine failure or the cause or factor of a total engine failure is undetermined. An exterior view showing a sump drain on the bottom of a tank. 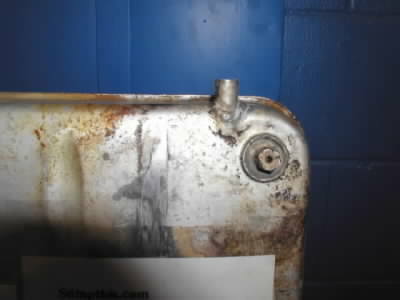 A sump drain (also called a fuel quick drain) is shown here removed from its tank. When installed, the top of the drain is inside of the tank. A bottom view of the sump drain shown to the left. The center hole is where a fuel sampling cup's stick is inserted to take a fuel sample during a preflight inspection (see images to the right). Note: The single engine aircraft discussed on the timeline are equipped with fuel tanks that are installed in an aircraft's wings (one tank per wing). A sump drain is installed in the bottom of a wing where a tank's sump is supposed to be located when an aircraft is in normal ground attitude. Initially, single engine aircraft were equipped with one sump drain per fuel tank. These drains are additional drains. Other types of drains are installed elsewhere. A fuel sampler cup that is used for taking a fuel sample during a preflight inspection. A fuel sampler cup is also called a sump cup. NTSB records indicate that 223 undetermined engine failures occurred in 1975. 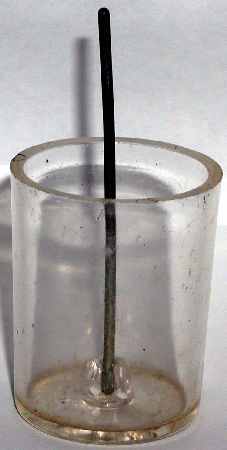 A sump cup stick shown inserted in a sump drain for taking a fuel sample. Pushing up causes fluid to flow from the drain into the cup. Other entries on the timeline that refer to sump drains use the graphic shown here. This graphic is duplicated in an entry to indicate the total number of sump drains installed on both wings of an aircraft. For example, initially single engine aircraft were equipped with one sump drain per fuel tank, so each wing had one sump drain. To indicate this configuration, two sump drain graphics are displayed as shown to the right. Two sump drain grapics indicate that one sump drain is installed on each wing. Side Note: Articles and experiments referenced on the timeline refer to different types of fuel tanks; however, it is sump drains and preflight inspection procedures that are of interest because these items are common to all of the tanks discussed. Also of special interest are rubber ridges that can form in rubber bladder fuel tanks compared to manufacturer designed metal ridges that are on the floor of integral wing fuel tanks. Finally, the reaction of the FAA, the NTSB and Cessna Aircraft Company to water contamination in the years 1975 to 1986 compared to later years is also of special interest. "Sump drains, moving wings and dipping an aircraft's tail are unreliable"! The May 1983 issue of Aviation Safety, Volume 3, Number 5 documents Rodney Gross's experiences with water contamination in a rubber bladder tank equipped Cessna 182K that occurred in the year 1978. 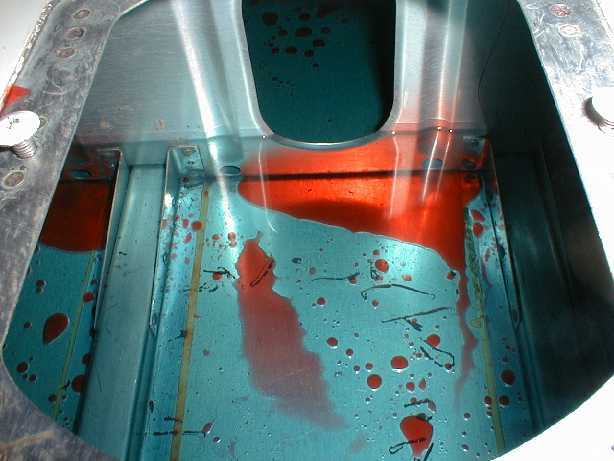 Gross performed experiments that indicate sump drains, moving wings and dipping an aircraft's tail are unreliable for the purpose of detecting fuel contamination during a preflight inspection. He went to extremes by "jacking up the plane's right main wheel an inch and vigorously rocking the wings" to finally remove residual water. Gross appears to be the first person to publicly document the procedures of moving wings and dipping an aircraft's tail. NTSB records indicate that 233 undetermined engine failures occurred in 1978. On June 13, 1978, Cessna Aircraft Company informed the FAA by letter that "An optional fuel system with increased capacity is now offered for the 1979 Model R172K. The metal wing tanks have been deleted and an integral fuel cell (wet wing) now contains the fuel." This letter indicates that in the year 1979 the Cessna R172K would be the first Cessna model aircraft to be equipped with Cessna's integral wing tank.